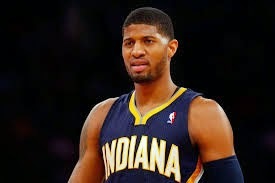 After the final horn had mercifully ended Game 6 of the Eastern Conference Finals, when the Miami Heat finally was done destroying the Indiana Pacers in a 25-point, series-clinching win, ESPN analyst and former Pacer Jalen Rose offered some thought-provoking comments on Pacers forward Paul George. Rose labeled George — repeatedly and without hesitation — "a top-10 player." Maybe you didn't bat an eye. Maybe you were in total, unwavering agreement. The statement seemed about right after watching George shred the Heat for 37 points in Game 5, especially in light of George's 21-point fourth-quarter eruption. In too many games during the playoffs, that statement seemed inapplicable. Some nights, you might have called it preposterous. Harsh? Maybe. But know this: It's an unassailable truth. For every game during which George causes us to marvel at his brilliance, there seemingly is another night when we wonder what we were thinking. But if the Pacers are ever going to unseat the Miami Heat as Eastern Conference champs — assuming LeBron stays out of foul trouble and downs a sufficient amount of Gatorade — it will require George performing at a transcendent, superstar level. Yes, it's true the Pacers aren't even in the championship hunt without George. But saying George is a great player while adding that he must do more is not mutually exclusive. The main quibble: Wouldn't be nice if Paul's level of play and production were a little more predictable? Part of the reason that 37-point night was so stunning is because earlier in the Miami series, George was kind of invisible. In Games 2 and 3, he combined to shoot 9-for-29. Look back earlier in the playoffs. George's stellar 30-point performance in Game 7 versus Atlanta in Round 1 was followed by his worst shooting performance of the postseason — a 4-for-17 dud in a Game 1 loss to Washington in the conference semis. Let's be clear. George is a magnificent player. He's got an exemplary attitude, one of humility. He plays a relentless brand of defense. Oh, and he just turned 24 last month. But George's timing stinks. He came along while King James is still ruling. Like Frank Vogel said, LeBron is the Michael Jordan of this generation. Which, I guess, makes the Pacers the New York Knicks of the 1990s. And unlike in Miami, there will be no "Big Three" in Indiana. Not with the Pacers' small-market status and reluctance to pay the NBA's punitive luxury tax. They can re-sign Stephenson and make a move here and there, but the core of this team is what it is. Given this reality, the Pacers are going to need more from George to get over this massive hump. And by more, I mean more efficiency, more aggressiveness, more determination, more consistency. In a word, more greatness. And you don't have to take my word for it. "In this league everybody's a star. ... But when you start separating the men from the boys, you have to be playing at a high level all the time," Pacers president Larry Bird said. "You look at (Kevin) Durant and you look at LeBron, they're great, superstar players. But there's only a handful of superstars. The rest of them are just stars. "Do I think Paul George can get there? He's got to be more consistent. ... In Game 5, in the second half, he was spectacular. But I'd like to see more of that. But he's a valuable player and he's our future and I hope he can get us there." The Pacers go as George goes. They will go as far as he can take them.